Irish Schools will have the chance to see the first ever Automatic book covering machine (E-LEONARDO) at the upcoming IPPN conference on 26th and 27th of January 2011. Unusually, the manufacturer in Italy has granted sole permission for this machine to be premiered prior to its own international launch at the Paperworld conference in January 2012. More news will follow in the coming weeks. 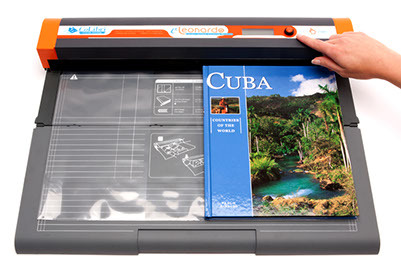 Colibri Book covering machines are the affordable method to cover books with a clear “custom-fit” transparent film (cover) no matter what the book size. It has become Ireland’s most popular method of book protection with over 367 schools now using it to preserve their books.